Digital imagery has given all of us an intimate appreciation and understanding of how color effects are expressed and managed by combining tiny dots of color. 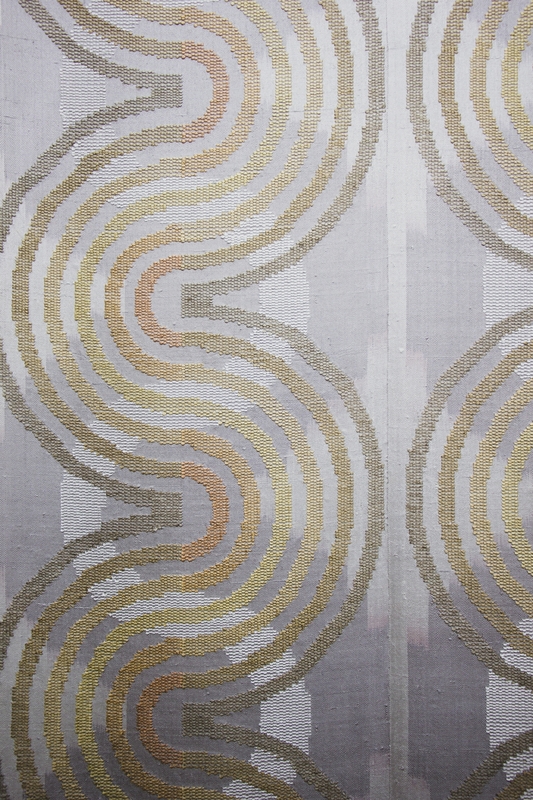 Textile design has long taken inspiration from similar appreciation of the effects of combining differently dyed, fine fibers on the warp and the weft of a traditional loom. 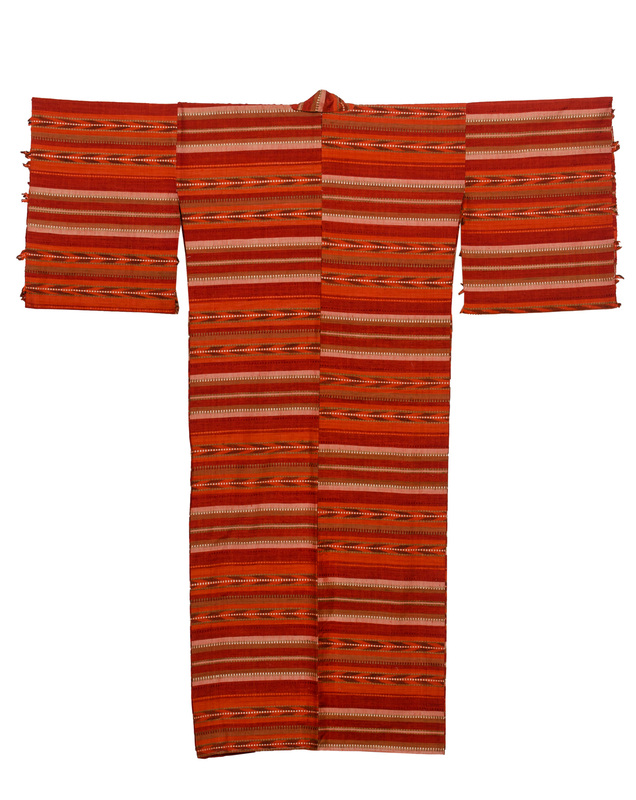 A typical square inch of silk cloth will use about 60 threads in the warp (the vertical direction) and a similar number in the weft (the crosswise weave). The color and effect of the weave will be impacted by the dyeing of the silk and the way each thread is woven, e.g. placed, on the loom. 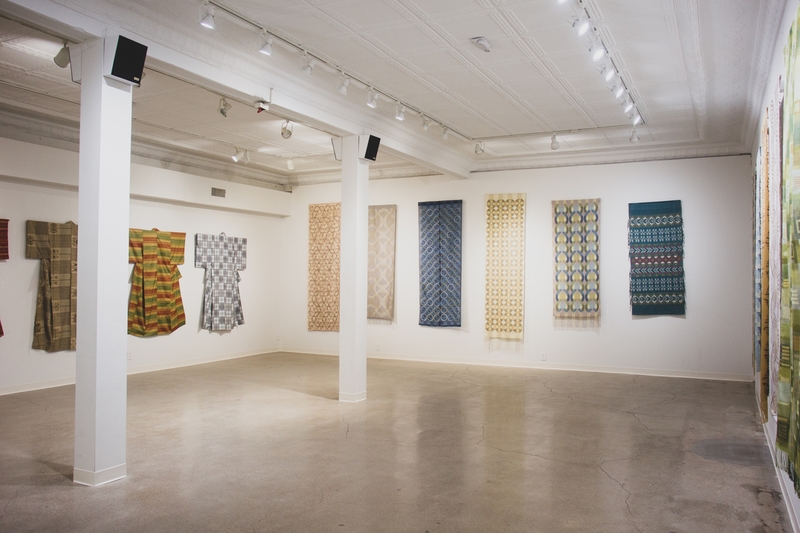 Chie Hitchner is an accomplished practitioner of the art of the "slow" textile. Starting with raw silk, she preps and dyes the fibers, places them on the loom, and weaves the final cloth with virtually no reliance on modern tools, including of course computers. 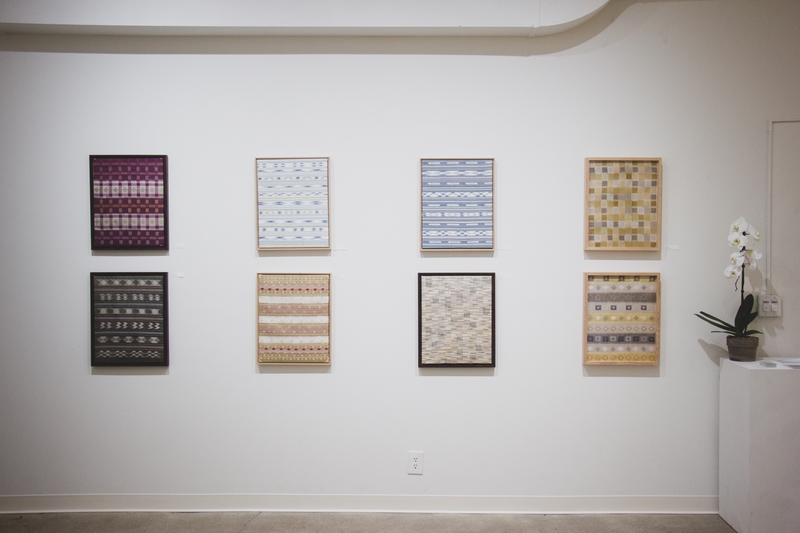 Her designs arise from the interplay of fiber, color and placement across the two dimensions of the warp and the weft of the loom. The crossing of fine silk in the warp and the weft of a silk textile seems an other-worldly precursor to the tiny dots of color that make up our digital images today. 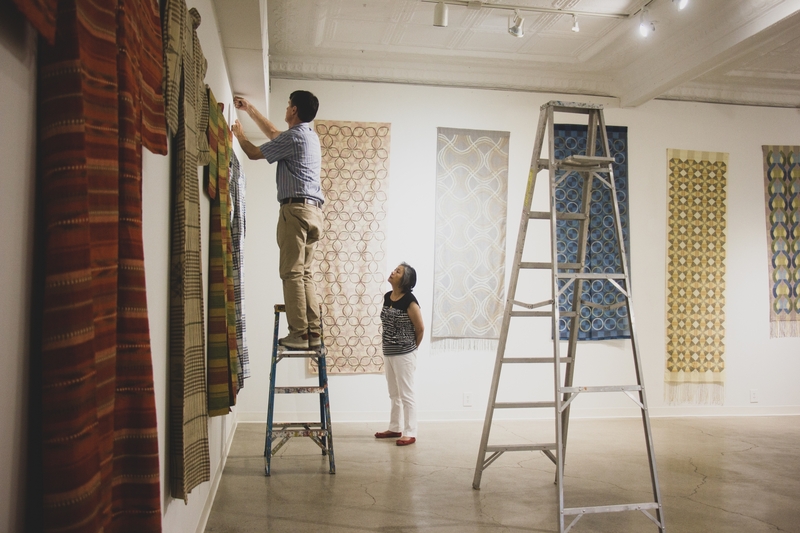 The exhibit will feature wall tapestries, bolts of cloth that have been sewn into kimonos for wall display, wearable shawls, and small framed textiles. 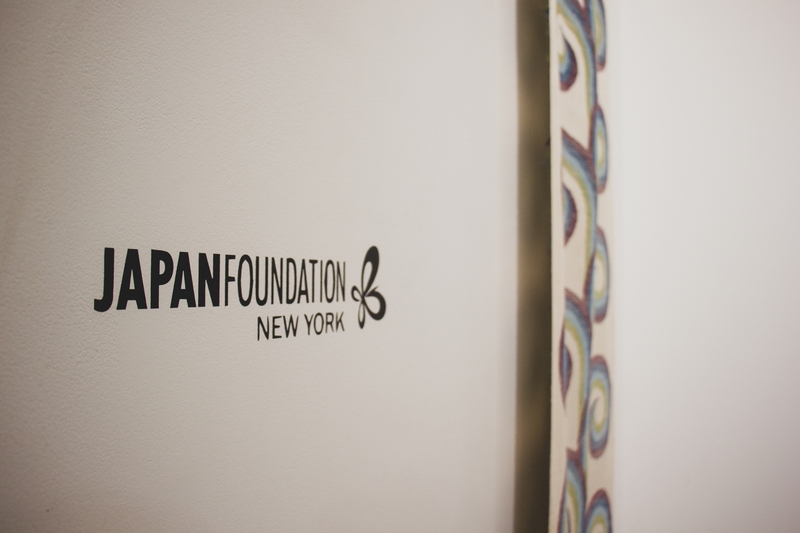 Each textile is 100% silk and all colors used in the exhibit were dyed by the artist using natural plant and mineral substances. The works on display are colorful, beautiful, and wonderfully representative of increasingly rare craft techniques. 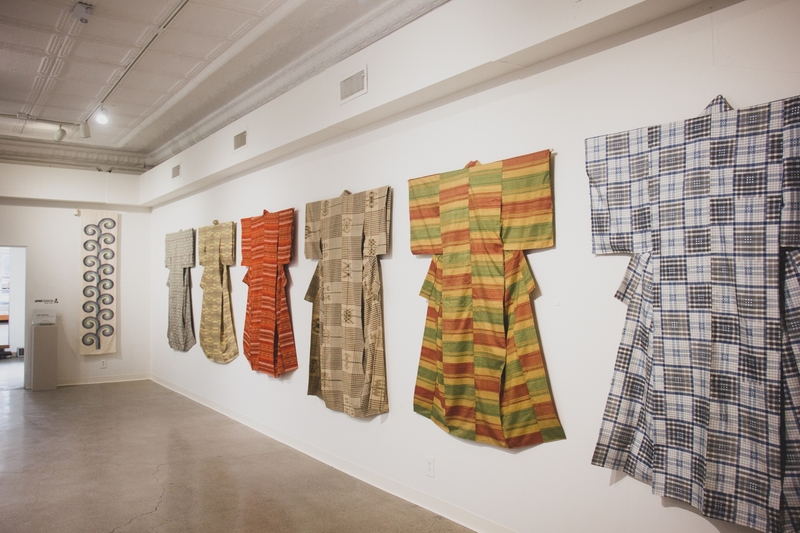 Both Ms. Hitchner’s displayed work as well as demonstrations will give Nebraskans a first hand look at Japanese dyeing and weaving and will illuminate the rich tradition of fine art and craft from Japan in ways many Nebraskans will not have experienced first-hand.